I’m not a major fan of the big local newspaper but I’ve always had an affinity for the smaller periodicals and a couple of the newspapers. 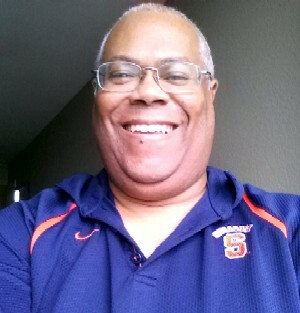 I remember years ago when we had The Call, which was the local black newspaper run by Eddie Moss, and of course I’ve been a fan of the Syracuse New Times for decades. These days there’s a bunch more magazines, some I check out often, a few I don’t. I’m going to highlight 3 magazines and one local newspaper; only one of these magazines do I now check out all the time, but here and there I’m compelled to see what’s going on. All of these are free, so there’s no reason not to look at them from time to time. 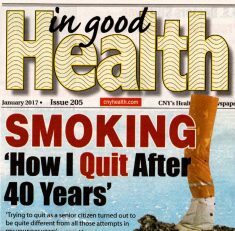 The first magazine is 55 Plus, which I started reading just before I turned 55. As you can imagine, it’s geared towards the older set, but that doesn’t mean they don’t cover any other types of stories. 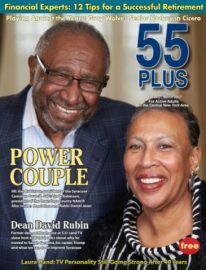 For instance, the most recent magazine not only highlights Van and Linda Robinson, but offers financial tips for retirement, people who are uncovering shipwrecks from the bottom of Lake Ontario, and some restaurants in Skaneateles. Laura Hand, one of my favorites from back in the 70’s when I first moved here also has a nice feature written about her. Next on the list is Family Times, which is geared towards parenting. This one I don’t check out all that often, since I’m not a parent, but that doesn’t mean it doesn’t ever have something I’m interested in. For instance, this month’s issue talks about baking cookies, something I’ve never learned how to do but always read about it. There’s also an interesting story about body image for both kids and parents, something I haven’t thought about in decades but something I remember from my childhood. A special feature in this magazine is all the family friendly events occurring in the Syracuse area each month. There’s so many that anyone saying there’s nothing to do in this city doesn’t know what they’re talking about. Just over 5 years ago I did a feature where I wrote about Syracuse Woman Magazine. I haven’t seen that one in a long time, so it’s possible that it’s been replaced by a magazine called Women of Upstate New York. It’s a bimonthly magazine that highlights women; that kind of makes sense. I’m not going to lie; the covers almost always catch my eye. We have a lot of attractive women in central New York. 🙂 This month they’re featuring a model and actress named Jaclyn Hales, who will be starring in a new TV show just being shot called Extinct. Of course, the magazine covers a lot of other topics that both men and women can enjoy. One I liked was a motivational article offering tips for people to feel good over the winter. Another talked about local theatrical presentations while highlighting Syracuse Stage. These are things that men as well as women can benefit from. As I said, all 4 of these are free and supported by advertising. I pick mine up at Wegmans, but I believe they’re in most stores across the area. Go ahead and pick one up; I know it’s not like looking at things on your smartphone but they’re all still pretty cool.